In the latest will he or won't he news, Ben Affleck is rumored to still want to play Batman in the DCEU. This seems to change about every other day, but apparently, he really does this time. While his involvement in Matt Reeves' The Batman is still unknown at this time, the actor still has the desire to stay on board within the DCEU, which seems to go with recent reports that he'll be in the upcoming Flash or Flashpoint movie, whichever it ends up as. A Twitter user by the name of DanielRPK, who has been right about some things and wrong about others, claims that Ben Affleck still wants to be the Caped Crusader. Basically, there's a 50/50 chance that Affleck will stay on. The actor said that he would play Batman for as long as Warner Bros. and DC Films will have him at last year's San Diego Comic Con, but many assumed the statement was a bit vague. Additionally, the DCEU is in somewhat of a transitional phase at the moment. Projects like Shazam!, Wonder Woman 2, and Aquaman are all on schedule, while projects like the standalone Flash movie and The Batman seem to be in what some would assume to be development hell. 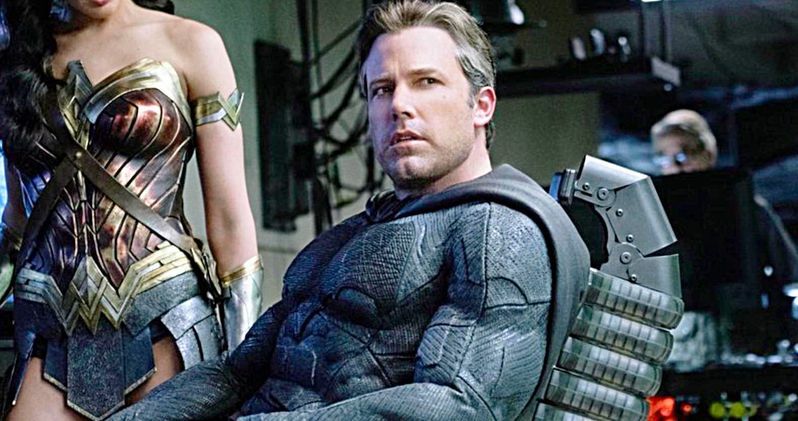 Ben Affleck was originally signed on to write, direct, and star in The Batman, but Matt Reeves took over the project about a year ago and there hasn't been much in the way of official news since then. The same can be said about the Flash movie, which may or may not follow elements of the Flashpoint story. Justice League threw a giant monkey wrench into the DCEU, but it appears that the recent changes behind-the-scenes have had a positive effect. Producer Walter Hamada was brought in to oversee all of the DC-related projects and since then, there has been talks of DCEU and non-DCEU projects in the pipeline. The non-DCEU projects have led to some concern that the DCEU will ultimately be scratched out, but there is no evidence to support that at this time. Justice League may have been a bomb, but the rest of the films have been successful, including Ben Affleck as Batman. Plus, WB is still planning a Justice League sequel. Ben Affleck may have finished his work as Batman, or it might be just beginning to heat up, it's just unclear at this time. There's so much information and rumors floating around about what Affleck is going to do that it's hard to see the truth. Hopefully, an announcement is made at this year's San Diego Comic Con to put all of the rumors to rest. It's expected that Warner Bros. and DC Films will have some big news to unveil in just over a month. Until then, we'll just have to wait and see. You can check out the new information about Ben Affleck staying in the DCEU to portray Batman below, thanks to DanielRPK's Twitter account.